To this day, one of the most important moments for NASA and space agencies around the world was landing on the moon and exploring the near side which faces Earth. Since that lunar mission occurred, ambitious astronauts and members of NASA have always wanted to return and hopefully explore the Far Side (Dark Side) of the Moon. Even though its budget has been decimated by the US Government, NASA is still talking about manned missions to the moon and eventually, landing on the Lunar Far Side. Tests and missions for Orion are already in the works but according to Kring, none of them specifically include a manned Lunar mission to explore or land on the Moon. However, NASA is hopeful that the funding for this sort of mission will become available in the near future and that their plans to take a trip to the Moon can be fulfilled. Kring is not the only scientist that has complained about the lack of manned missions to the Moon and instead, it has actually become a common sentiment that without visiting the Moon, planetary science has suffered in a significant way. A manned Lunar mission would focus on determining how old parts of the Lunar surface are, as well as testing the Lunar Cataclysm hypothesis. This hypothesis suggests that the Moon was bombarded by huge impactors around 4 billion years ago. Studying the impacted areas of the Moon is important simply because it provides a clearer picture as to how the Earth was also affected by impactors. Unlike the Earth which has many natural processes which wipe away evidence of the impacts, the Moon is the perfect place to study how the early bombardments shaped the Moon and more importantly, the Earth. 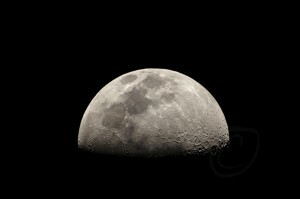 Even to this day, we are not entirely sure how the Moon actually came into being and although there are popular moon formation theories, a manned exploration is necessary to test these ideas. It may be difficult to find the funding for any sort of manned Lunar mission but Kring is hopeful.